So, you are going up against some dark evil. You have been hunting it like the Winchester brothers hunt demons. Or the way that Batman hunts the Joker, or vice versa. You have stalked your prey like a superior hunter. But all the weapons you have used on it are insufficient. It just walks away from bullets, and it is impossible to hit with a bow, and arrow. You really need something a little more intense for this job. 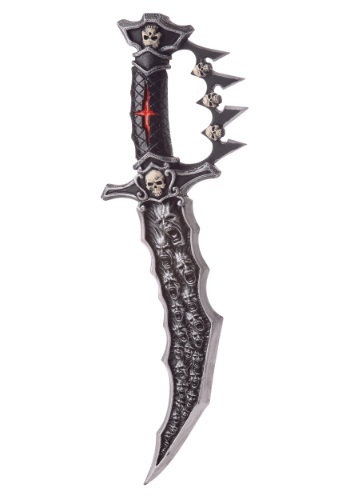 This Blade of the Damned Dagger might just be the thing for you. You’ll have to get a lot closer to the evil beast than when you were trying to shoot it, but as long as it dies, and you live it doesn’t matter. The blade was blessed by a voodoo witch in the 1800s, and has been used to kill a number of evil creatures. Swing this blade true into the heart of evil, and stay safe.